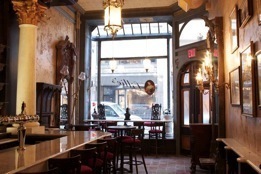 Join other Meetcha members at this NYC Irish-Victorian Bar and Restaurant. Enjoy traditional appetizers or their Pot Stickers with fragrant chive and pork with siracha chili and pickled ginger. Appetizers cost about $7-$9.